The precast concrete industry has been searching for a more economical and efficient formwork method. In the past, some conventional magnets were used to position and fasten the formwork, but considerable mechanical loads with a hammer were required, which was easy to damage the magnets and the surface of the expensive formwork tables as well. In order to facilitate the formwork activities, HangSeng Magnetech is developing and manufacturing our own shuttering magnet to solve this problem successfully. 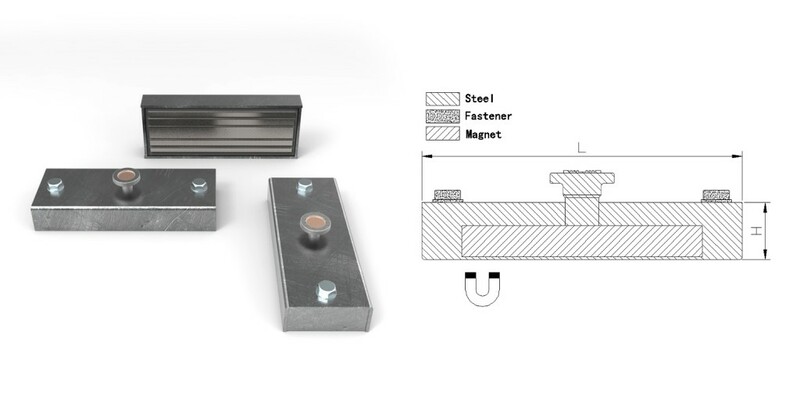 Our shuttering magnet also is kown as button magnets provides quick operation leading to improved efficiency when setting out and breaking down the formwork. It consists of a switchable NdFeB magnet unit and a steel casing which forms a certain designed magnetic circuit. By pressing the button on top of the steel casing, this magnetic force is activated so that this magnet can fasten the formwork to the steel table tightly. In a deactivated mode, the magnet is easy to position. 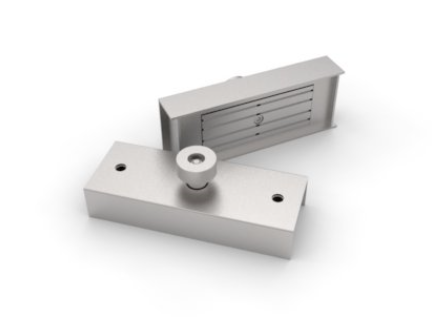 By means of two threaded holes integrated on the top, this magnet can be equipped with various adapters, which can provide unlimited options for use. HSMAG Precast produced shuttering magnet 450-2100KGS which is a large size shuttering magnet specification for steel precast concrete platform. HSMAG shuttering magnet is an ideal range of applications perfectly suitable for all kinds of precast concrete formwork construction, both for wood and steel shuttering. All HSMAG shuttering magnets have extraordinarily high adhesive power in comparison to their weight. With the accordingly developed adaptor technology HSMAG shuttering magnets provided unlimited options for use, which meet your requirements at all times. The HSMAG shuttering magnet have automatic System to activate and deactivate the magnet allows unlimited options at the push of a button.